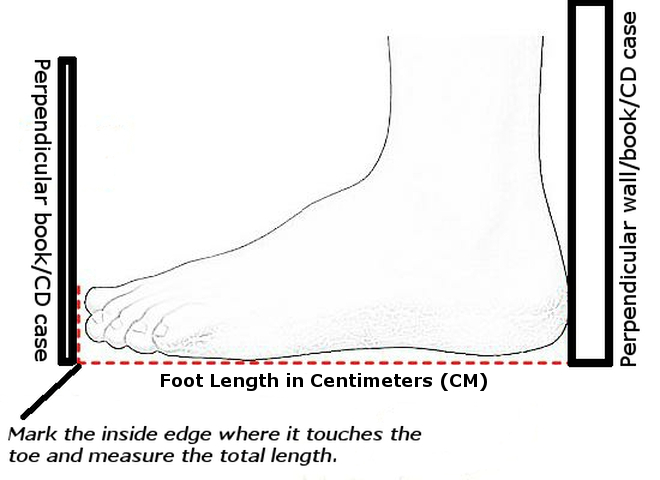 To estimate your size in our shoes, please use this generalised guideline. 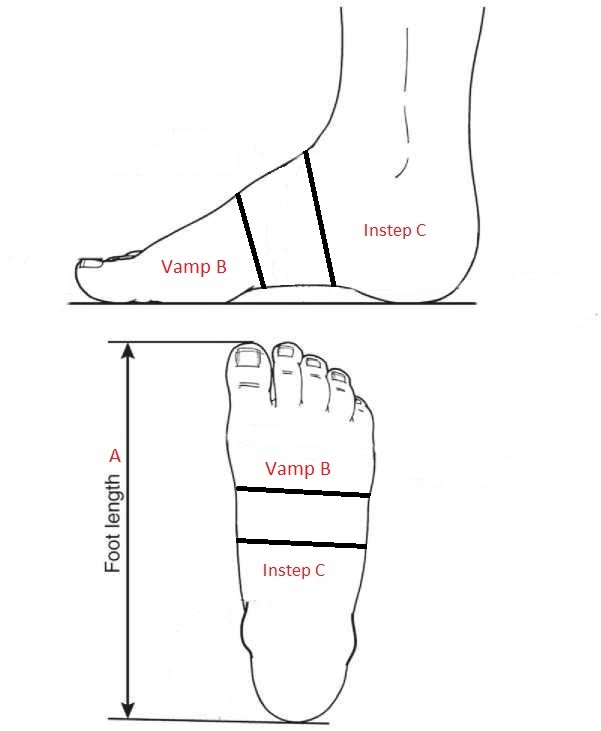 Please note that the accuracy of the results vary depending on the way the person takes the measurements, how precisely the length and width are taken, etc. As a result we only present this as a generalised guide. Now turn to the sizing table. Use the same calculations for different fittings eg: D and F.
As stated above, this is a generalised guide to estimate your size.